Click the Options - Debug tab and select Use: OCDS Driver for XC16x. Set Load Application at Startup and Run to main() to automatically load and start your application when you start the debugger. 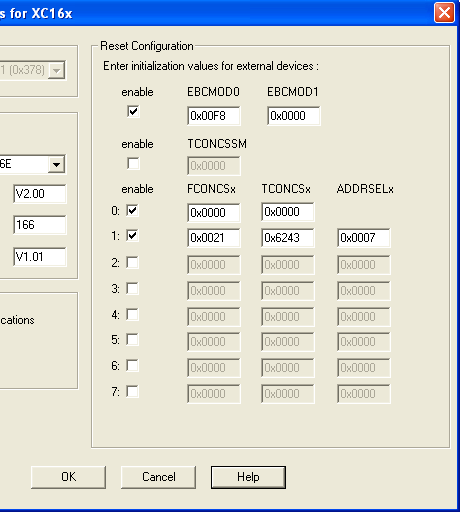 Then click the Settings button to open the OCDS Driver configuration dialog. When debugging from on-chip Flash, initialization values for Reset Configuration are not required. Connect the ULINK adapter to the board. Note that the red-colored wire on the cable marks pin 1 of the OCDS connector. Power up the MCBXC167 board.